Weekly Ramblings: Round 1 - Divassence! My only regret I had when I bought a Windows phone was that it didn’t have Instagram. Everyone I know seem to be on Instagram sharing pictures of what’s happening in their lives on a day to a day basis and I was missing out on all that. So that led to the idea of “Weekly Ramblings”! Every Saturday, you’ll see me go on and on about what’s happening in my life, what I eat, where I go, what I do and my favourites! (and thank God! it will only be that!!) 😛 So here is Round 1! And it is called Ramblings because sometimes posts in this series might WILL contain long and confused thoughts. 1. Fruit Cream at Haji Ali Juice Centre: I was curious to try the oh so famous Fresh Fruit Cream at Haji Ali Juice Centre in Chennai. It was 50-50 for me. The cream wasn’t thick enough which was disappointing. 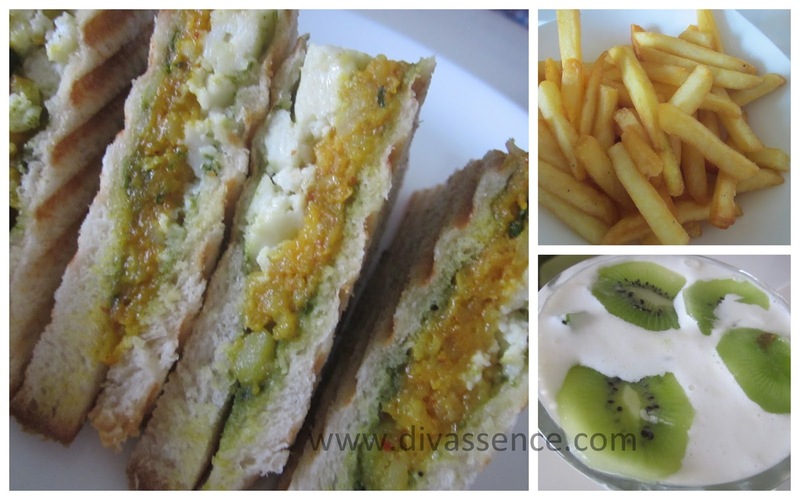 I loved the french fries and the paneer and potato sandwich was also yummy. 3. I’m bursting with Happyness!!! : Thanks to these lip balms! I ordered these lipbalms from Burst of Happyness without any expectation and to say the least these have exceeded all that and more!! I’m loving the Choco Mint Lip Balm and the mild taste of mint and the cooling sensation is Uhhh-MAZING! Lol sorry about that! I completely forgot that ..
Deeps which doc are you planning to get Lasik done from? I opted for lasik but since i had high myopic power, they suggested tat undergoing prophylactic laser would be better before i undergo lasik.. I love this series, definitely enjoy reading your ramblings. really love the bangle hanger. Where did you buy the lip balms from? great post, the sandwich looks yumm.